You'll be £16.99 closer to your next £10.00 credit when you purchase An Anthology of Ancient Egyptian Texts. What's this? This book provides a small collection of love stories, biographies, fairy tales, reports of military campaigns and other textual accounts of life in Ancient Egypt. They range widely and so provide a varied and interesting view of life in Ancient Egypt for many areas of society and so gives an insight into daily life. This is a welcome and insightful view into the world of the pyramids and the pharaohs which can easily seem so far detached from our own lives that it can be hard to understand. This book is aimed at anyone with an interest in Ancient Egypt and everyday life as well as those with a specific interest in literature. The lack of any scholarly commentary plus the inclusion of a glossary means that the book is very accessible to those with no prior knowledge of Ancient texts and their scholarly study, making it a great taster and introduction to the area. This was a fun and enjoyable read and one that was both insightful and interesting. 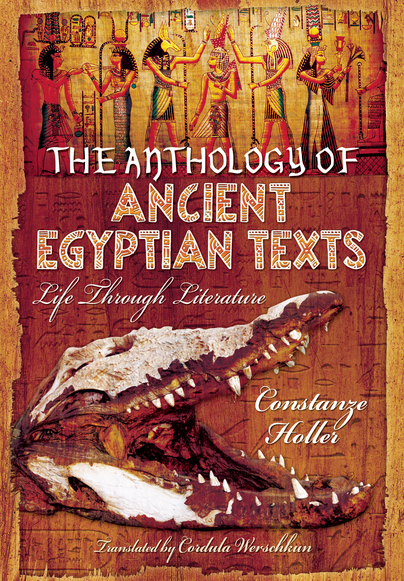 There were many tales I’d not heard before which proved a delight and it was nice to have a chance to look at the ancient Egyptians from the perspective of fairytales and poems and see how they saw life on a quite intimate level via their literature. It was also fascinating to read of events like those described in the Biographical Inscription of the solider Amennemheb called Mehu, which whilst it is hard to say how factual this tale is, sheds light on how individuals saw the reigning pharaoh and how they saw life around them. It was a pleasure to read. In some ways, this book may be regarded as complementary to the previous one. Instead of shorts extracts of selected texts, Ms Holler here presents full translations of ten important pieces of Ancient Egyptian Literature.